President Trump's Supreme Court nominee Brett Kavanaugh on Friday strongly denied newly-surfaced allegations from a woman who, according to the New Yorker, is claiming he “attempted to force himself on her” during a party when they were both in high school in the early 1980s. 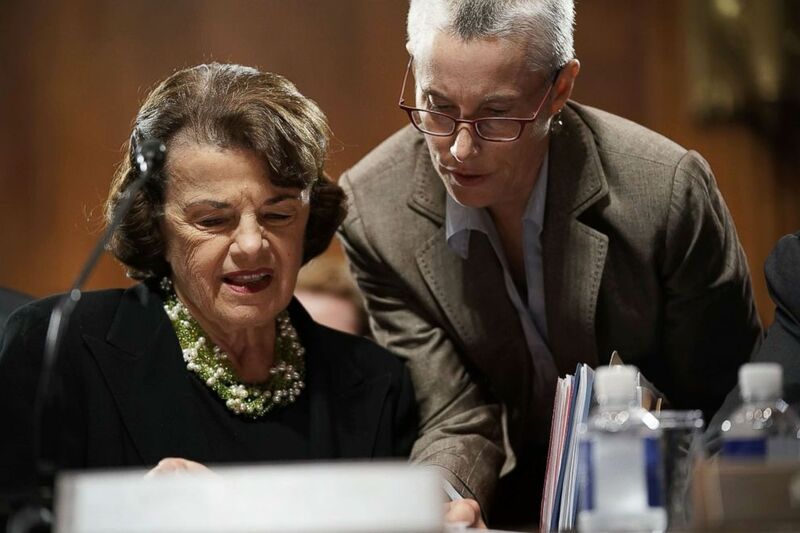 The New Yorker on Friday reported details of the allegations made by the woman contained in a letter that the magazine said was given to the top Democrat on the Senate Judiciary Committee, Sen. Dianne Feinstein. The magazine said the woman has declined to reveal her identity. The existence of the letter was first reported by the online news outlet, The Intercept, on Wednesday. The New York Times reported Thursday that the letter was regarding “possible sexual misconduct” from when Kavanaugh was in high school. ABC News has not confirmed details of the letter’s contents or seen the letter. On Thursday, Feinstein said she had received "information" regarding Kavanaugh and has passed it on to the FBI. "I have received information from an individual concerning the nomination of Brett Kavanaugh to the Supreme Court. That individual strongly requested confidentiality, declined to come forward or press the matter further, and I have honored that decision. I have, however, referred the matter to federal investigative authorities," Feinstein said in a statement Thursday. According to a source cited by the New Yorker, Feinstein learned of the alleged incident in July and while her staff members mentioned it to other Democratic lawmakers, they did not share the letter with them. The allegation was not raised at any time during the judge's confirmation hearings. The FBI confirmed it had received the letter but indicated it was not immediately pursuing the allegations. ABC News has reached out to Debra Katz, a lawyer identified by Buzzfeed as counsel to the woman who has come forward with the allegation but received no response. "There's nothing to say," Katz told BuzzFeed News Wednesday. On Friday, Feinstein's office defended the senator's decision to send the letter to the FBI in the face of criticism that she did not come forward with the allegations sooner. "Senator Feinstein was given information about Judge Kavanaugh through a third party. The Senator took these allegations seriously and believed they should be public. However, the woman in question made it clear she did not want this information to be public. It is critical in matters of sexual misconduct to protect the identity of the victim when they wish to remain anonymous, and the senator did so in this case," a spokesperson for the senator said. Senate Republicans on Friday released a letter from 65 women who knew Kavanaugh during his high school years vouching for his character. "We are women who have known Brett Kavanaugh for more than 35 years and knew him while he attended high school between 1979 and 1983. For the entire time we have known Brett Kavanaugh, he has behaved honorably and treated women with respect," the women said in the letter sent Friday to Senate Judiciary leaders. 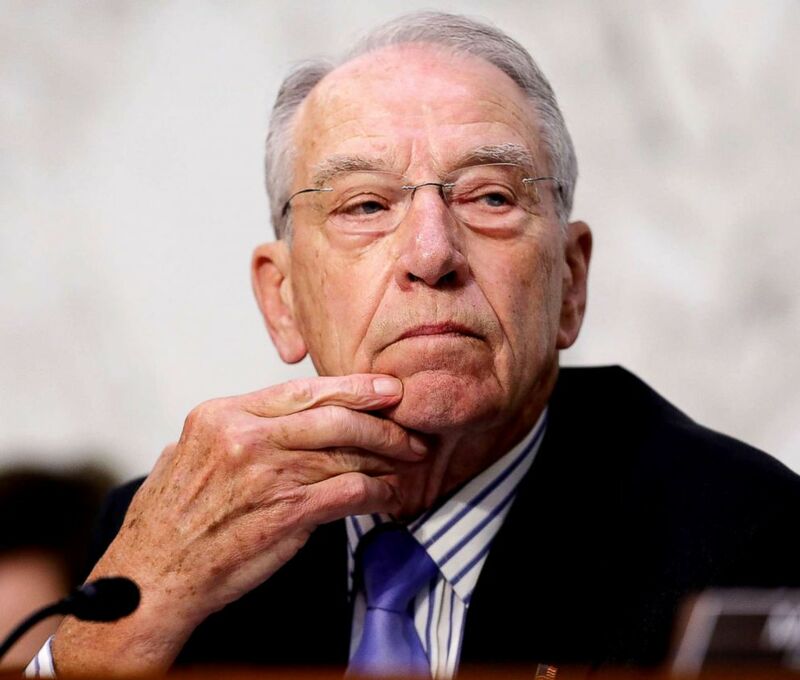 Senate Judiciary Committee Chairman Chuck Grassley, an Iowa Republican, is pushing ahead with plans for a committee vote on Kavanaugh's nomination next Thursday. "Anonymous allegations are not going to change the chairman’s plans for a vote on Thursday," a top committee Republican aide tells Cindy Smith. Sen. Dianne Feinstein listens to an aide during a markup hearing before the Senate Judiciary Committee, Sept. 13, 2018, on Capitol Hill. As to whether Republicans knew about the allegation in advance and had the letter from the 65 Kavanaugh high school contemporaries "in the can," Grassley's office said no. One of Kavanaugh's law clerks spearheaded the effort Thursday and sent the letter to Grassley's office Friday, the aide said. In its initial story, The Intercept reported the letter was said to have been written by someone affiliated with Stanford University. It was originally sent to Rep. Anna Eshoo, who represents California's 14th district, according to several media reports. Eshoo then referred the letter to Feinstein. Eshoo's staff declined to comment on the letter, saying they did not discuss constituent casework. ABC News has not confirmed the Intercept's reporting. The FBI confirmed it had received the information "on the night of September 12." A spokesperson added, "we included it as part of Judge Kavanaugh's background file, as per the standard process." Senate Judiciary Committee Chairman Charles Grassley presides over the third day of Supreme Court nominee Judge Brett Kavanaugh's confirmation hearing in the Hart Senate Office Building on Capitol Hill, Sept. 6, 2018, in Washington. On Thursday, Grassley told reporters he had not seen the letter. “All I know is what I read in some two or three sentences in some report that came out overnight, and since I don't know anything more about it then what I read, that's all I can say at this point,” Grassley said. “Throughout his confirmation process, Judge Kavanaugh has had 65 meetings with senators—including with Senator Feinstein—sat through over 30 hours of testimony, addressed over 2,000 questions in a public setting and additional questions in a confidential session. Not until the eve of his confirmation has Sen. Feinstein or anyone raised the specter of new ‘information’ about him," White House spokesperson Kerri Kupec said in a statement. "Throughout 25 years of public service, the Federal Bureau of Investigation has thoroughly and repeatedly vetted Judge Kavanaugh, dating back to 1993, for some of the most highly sensitive roles. He has served in the Office of Independent Counsel, the White House, and on the D.C. Circuit Court of Appeals, all before his nomination earlier this year to serve as Associate Justice on the Supreme Court," she said. "Senator Schumer promised to ‘oppose Judge Kavanaugh’s nomination with everything I have,’ and it appears he is delivering with this 11th-hour attempt to delay his confirmation,” Kupec said. ABC News' Devin Dwyer, Ben Siegel and Mike Levine contributed to this report.